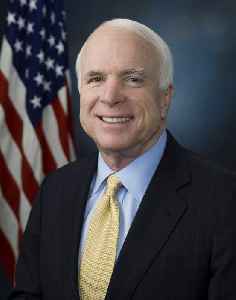 John Sidney McCain III was an American politician and military officer who served as a United States senator from Arizona from January 1987 until his death. 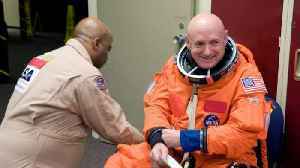 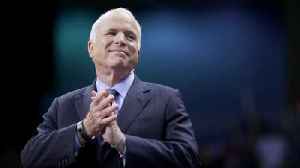 He previously served two terms in the United States House of Representatives and was the Republican nominee for president of the United States in the 2008 election, which he lost to Barack Obama. 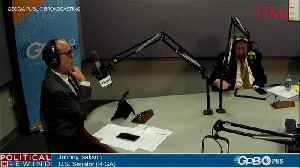 Secretary of Veterans Affairs Robert Wilkie joins Major Garrett on "The Takeout" to discuss his career of public service, his appointment to head the VA, as well as suicide among veterans and President..
President Donald Trump has attacked late Sen. John McCain numerous times including after he died in August 2018. 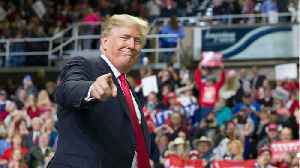 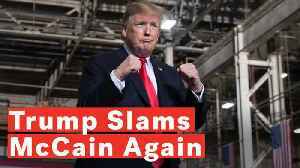 Trump has publicly said he doesn't like him, and has called McCain not a war hero..
President Trump escalated his attacks on the late Sen. John McCain after touring the Lima Army Tank Plant at Joint Systems Manufacturing in Lima, Ohio on March 20, 2019. 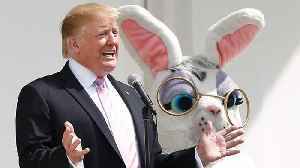 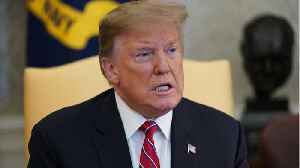 U.S. President Donald Trump, visiting American workers in Ohio on Wednesday, bashed the late Republican Arizona Senator John McCain again over the Russia dossier and Obamacare, and said he had to.. 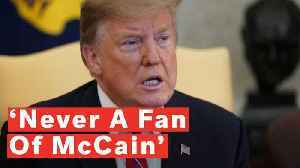 According to Business Insider, President Trump has criticized and insulted McCain on and off for years. 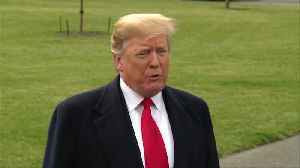 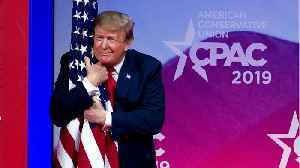 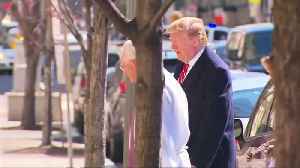 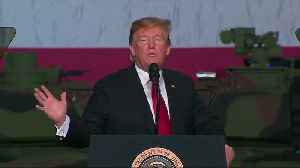 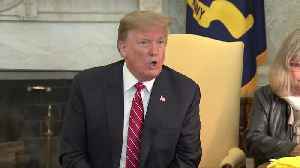 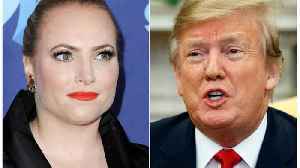 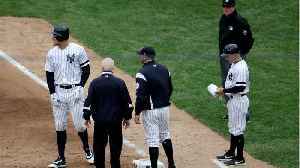 However, his latest attacks on the late Senator, finds him facing considerable backlash from..
After President Donald Trump tweeted an attack against her father, the late Sen. Johan McCain, Meghan McCain says President Donald Trump's life is “pathetic." 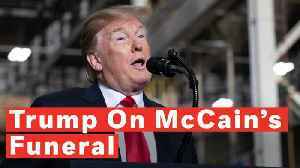 According to SFGate, McCain says Trump..
President Trump was asked regarding his tweets targeting late Sen. John McCain's ties to the controversial Russia dossier and his vote against repealing Obamacare: "I was never a fan of John McCain and..
U.S. President Donald Trump on Tuesday, when asked about his recent critical remarks of the late Republican Arizona Senator John McCain said, "I was never a fan of John McCain, and I never will be.".. 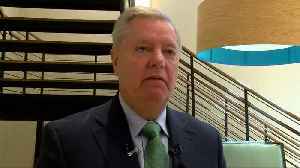 Republican Senator Lindsey Graham slammed U.S. President Donald Trump for his twitter posts on the late Arizona senator, where Trump berated McCain's intellect and claimed the release of a dossier was..
Meghan McCain hit back again at President Donald Trump's Twitter insults against her late father Sen. John McCain of Arizona. 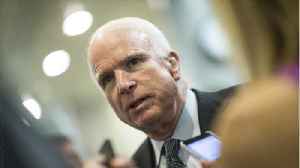 McCain dismissed the multiple tweets that targeted her father by name,.. 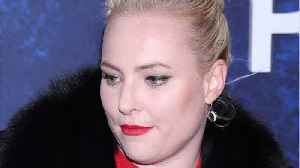 The late Senator John McCain's eldest daughter Meghan criticized President Donald Trump Sunday after he insulted her father on Twitter. 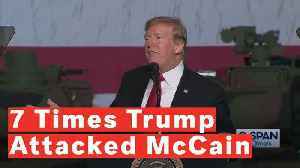 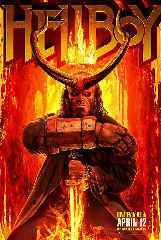 Business Insider reports Trump verbally attacked McCain on..
​Kelly launched his Senate campaign with a rally in Tucson, Arizona, on Saturday.